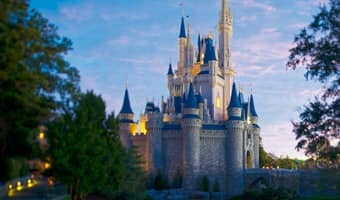 Does ESPN Wide World of Sports provide transportation for guests? A All guests are responsible for providing their own transportation to and from the ESPN Wide World of Sports Complex and other event competition venues unless special transportation has been arranged specifically for your event. What bus transportation is available to ESPN Wide World of Sports? 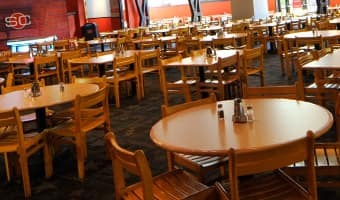 One (1) hour prior to sports complex opening until or one (1) hour after sports complex closes. Is parking available at ESPN Wide World of Sports? A Parking is available at the ESPN Wide World of Sports Complex. General parking is free and premium parking is available on select event dates for a fee. In the event the Sports Complex parking lots fill to capacity, guests will be directed to alternate parking locations. What are the best driving routes to ESPN Wide World of Sports Complex? What are the best driving routes to ESPN Wide World of Sports Complex from within Florida? 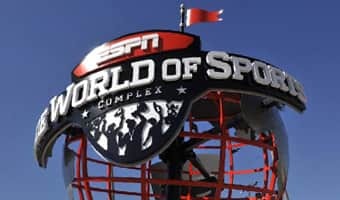 What is the address to ESPN Wide World of Sports Complex?